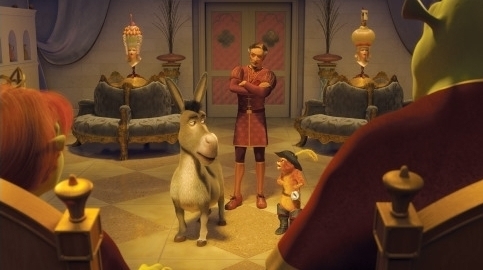 Shrek the Third. . Wallpaper and background images in the Shrek club tagged: shrek 3 shrek the third shrek donkey puss in boots. look puss in boots is like 'wow señor WHAT HAPPEN TO U!!!! !